The concept of SCADA control of an Energy Distribution Network is not a new one, but grappling with the communications challenges of a system distributed over a large geographic area persists as a major challenge. Whilst improvements in communications technology has been seen, it is mostly enjoyed by urban distributors, where population density can justify the expenditure of improving telecommunications infrastructure. For Distribution Network Intelligent Electronic Devices (IEDs), such as Auto-Reclosers, Transformer Tap Changers or Static VAR Compensators, reliability of their remote control is of paramount importance. Presented with a challenge by a local utility, Auto Recloser manufacturer NOJA Power was asked to implement a method to monitor the reliability of the SCADA connection. NOJA Power’s Auto Reclosers are often deployed in remote areas for reliability of supply and bushfire mitigation applications, making the reliability of control of these units paramount. The solution to this challenge does not require work on the utility side – it’s about teaching the Recloser to expect communications from the Control Room. If a Recloser Controller is commissioned and under SCADA control, it expects to receive periodic polling and communication from the control server. These are either requests for data, analogues and state, or controls, telling the Recloser to execute some action. Typically, poll rates are executed in the sub minute range. Naturally then, if the recloser does not receive a poll from the master station in that time, we can assume that the communications have been interrupted. This in turn suggests to the recloser that it should reboot its communications device, to try and re-establish the connection. This is the logical concept that is applied as an optional function within the OSM Recloser with RC Control. If the Recloser Controller does not receive a control signal and SCADA poll request in a certain timeframe, the Recloser Controller reboots its communications device within the Controller. 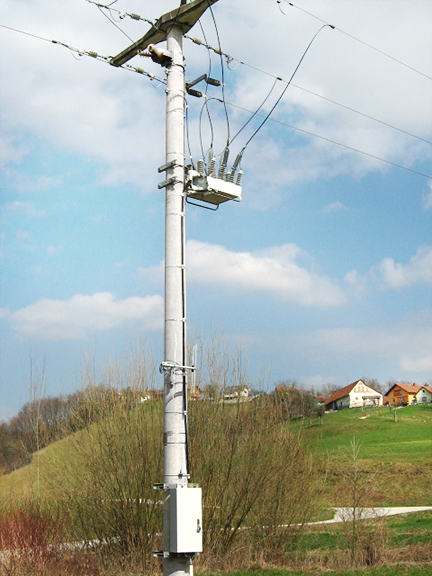 This functionality is known as a “Communications Watchdog”, and it has been implemented in NOJA Power’s RC range of controllers for many years. Whilst it is a simple implementation, the communications equipment reset is very useful, particularly for networks using IP based cellular communications. The reboot of the communications device in the controller causes the Modem to update its registration in the local telecommunications cell tower, which is a common issue for stationary “mobile internet” connections on older telecommunications towers. A further tip for ensuring communications reliability when using 3G is the application of dual-sim modems. Dual SIM modems provide for a backup service for communications when the primary service is rendered unavailable. These modems are available as an option with the NOJA Power OSM Recloser system, and are commonly deployed in remote areas where IP communications are used.